Advertorial by CooTek: the opinions expressed in this story may not reflect the positions of PhoneArena! That riot of a trend for soul-soothing sights and sounds from our electronic devices has given birth to underload like Cardi B. 's autonomous sensory meridian response (ASMR) videos but also to a universe of apps that help us relax and sleep better. 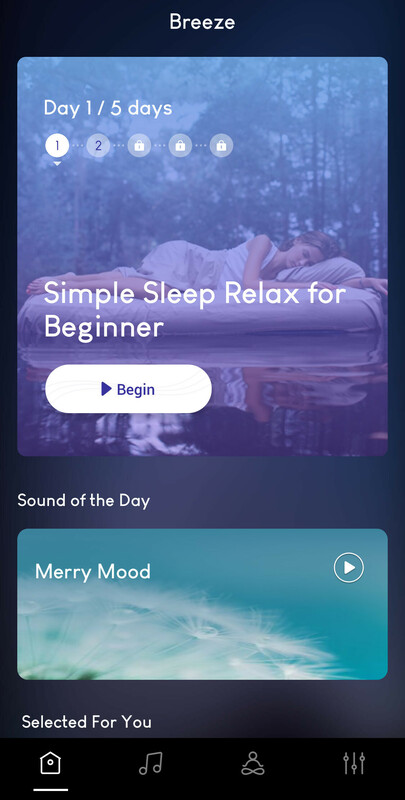 Enter Breeze, CooTek's revamped Relax Music app that brings about a complete set of tools for your chill-out vibes or midday meditation session in the office bathroom. White or pink noises are just the beginning, as Breeze categorizes its soul trips by activity, be it traveling, trying to focus, or simply trying to nap. From crunchy steps in the snow through bird chirping to wheat rustling in the wind, the app's set offers a rich variety of nature sounds tailored to your preference or specific activity. The guided meditation sessions can get you from chants to singing bowls and improve your relaxation technique further. CooTek has put significant effort in upgrading the Breeze experience from sound sets to narrated sessions tailored to specific needs which are fittingly called "Courses". There are entries that teach you how to meditate if you do it for the first time, with soothing voices of English actors, in addition to female-specific relaxation techniques, next to an inventive ASMR list that includes such morning staples like a hair dryer or kitchen cleaning sounds. Breeze ran a chill-out campaign providing meditation booths at the MWC expo, and plenty of folks took the chance to relax from the show floor madness by just sitting or lying down and listening to the relaxing narrators for daydreaming guided meditation. Now, don't outsource your parental responsibilities to an app, but you can also supplement tucking your offspring in with the bedtime stories category, too. It does what it says on the tin by playing fairy tales or sweet lullabies all the while you are sitting by your kids' bed watching the process (aren't you?!). 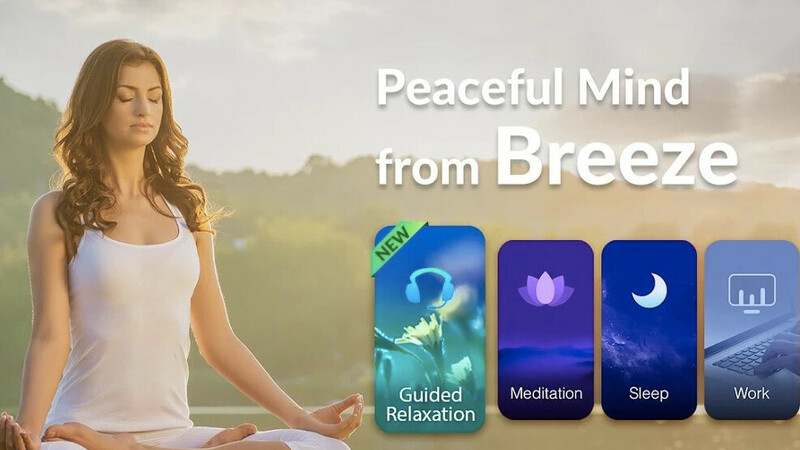 All basic sections of Breeze are free and ad-supported while getting to the Premium level for a few bucks opens all sounds, removes ads and above all, gives you access to all of the guided relaxation programs that the app offers. Check Breeze out if you are in the mood for de-stressing. Someone please let me know if you use or enjoy the app? I am curious. Seems like a great idea.